“I’m Jealous!” That’s what people tell me when they find out that I retired early, to which I reply, “why are you still working?” Most respond with the common “I still have to work!” answer. Many people realize too late they have not planned well for retirement. In the 1980’s, employer-offered pensions made up a significant portion of people’s retirement strategy. The attractiveness of controlling one’s future, along with the expensive nature of pensions, shifted retirement vehicles to IRAs and 401(k)s. Unfortunately, people lacked discipline and either failed to participate or under-funded their retirement. Most retirees are now fully reliant on Social Security. A survey conducted by GOBankingRates.com revealed that 26% of respondents expect to work past their 60s. According to the Economic Policy Institute (EPI), “Nearly half of families have no retirement account savings at all.” The median retirement savings for families in the United States is less than $5,000, the median for those with savings is around $60,000. Older Americans have not escaped this issue. The average retirement savings for people between the ages of 50 and 61 is less than $15,000. Experts advise that people in this age range should have somewhere between five and seven times their annual salary in a retirement account. Many experts use the “four percent rule” as a rule of thumb to determine how much a retiree should withdraw from their retirement nest egg each year. The four percent amount is based on the average rate of return for the stock market over a 50-year period. If your annual expenses are less than four percent of the nest egg then the nest egg is preserved throughout retirement, allowing one to live off of the proceeds. Some people have reduced the target number to three percent to give themselves a buffer. Experts consider the four percent amount safe as the withdrawals are comprised mostly of interest and dividends. If your current expenses are less than four percent of your net worth then it might be time to consider retirement. See a financial adviser to verify your retirement viability. There are some important considerations when planning for retirement. Maximize income during the prime career years by striving for higher positions with higher pay and benefits. 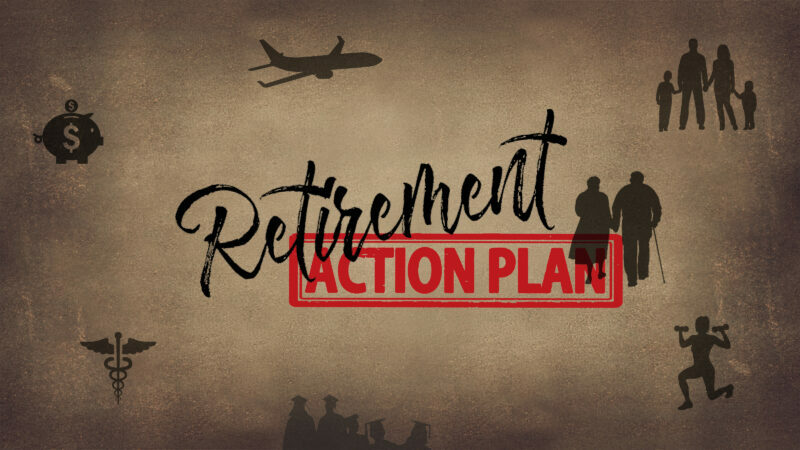 This will allow for more retirement savings contributions, and it will minimize the need for post-retirement employment income. Create a comfortable but not frivolous lifestyle. This provides more available cash for saving and investing. Plan for aging parents, children’s education and extraordinary events (e.g. health, catastrophe and special needs) using available financial vehicles. This will help shield the retirement nest egg. A financial advisor can point out the available options. The following are seven actions I took which helped me retire ready and early. Located a Financial Adviser with financial, estate and tax planning experience that assisted me with my retirement planning. Finding the adviser with the right knowledge for a reasonable fee is a challenge. Shop carefully, obtain references and use logic as your guide. Maximized retirement contributions by taking advantage of my 401(k) plan benefits, especially when my employer matched my contributions. In addition to savvy investing, I put cash into high-yield savings accounts and Certificates of Deposit (when interest rates were favorable). Eliminated debt, with a priority on high-interest debt. I weighed carefully eliminating debt versus increasing lifestyle. I invested the savings accordingly. Created a long-term budget, stuck to it and revised it periodically. I included all taxes, depreciation, education, healthcare, parental care, home maintenance, etc. I stuck to the budget as much as possible. Reviewed all of the expenses and eliminated items that were not adding value to my lifestyle or I found them to be too expensive. I invested the savings accordingly. Educated myself and stayed up to date on financial vehicles and tax/estate planning laws. My financial adviser helped me set up meetings with experts who were willing to share their knowledge on these topics. Reviewed & revised the retirement plan on an annual basis with my financial adviser and made the appropriate adjustments quickly. Retiring ready and early are great goals to strive for. Having a good retirement action plan can help achieve this goal. I hope this article was helpful. Drop me a note in the comment section below or through the Contact Me page if you have any questions. NOTE: This article is not a replacement for formalized professional retirement planning. Please consult a qualified financial advisor for personal financial planning.